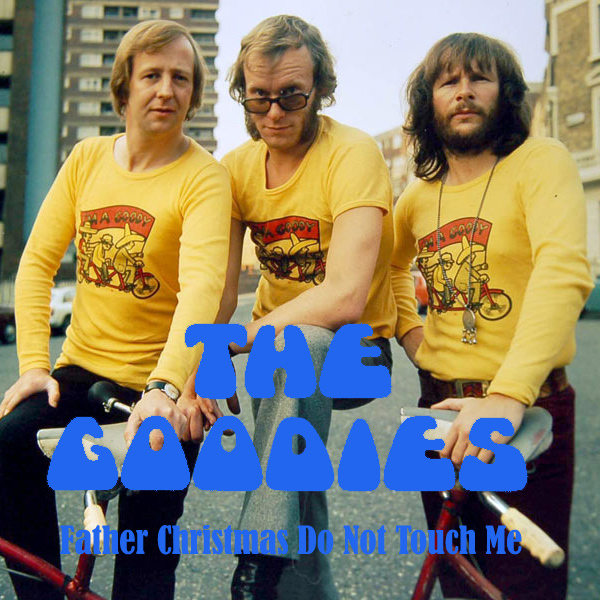 The Goodies were a bunch of nutters who had a TV show. The gist of the song Father Christmas Do Not Touch Me is that 'he's a most immoral Santa', so I thought I'd make him immoral and a babe that he should definitely leave his hands off, so there's more for the rest of us. Thanks Mike, a nice remix and a happy Christmas to all of our viewers in little ole England. Yum yum!